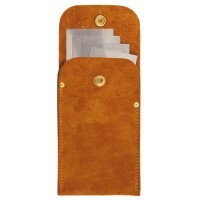 The Henry Eckert Leather Hand Scraper Pouch, when closed, is 130mm tall & 100mm wide. It is made in France and has 3 dividers inside to make 4 compartments. It is a universal size to accommodate most hand scrapers. 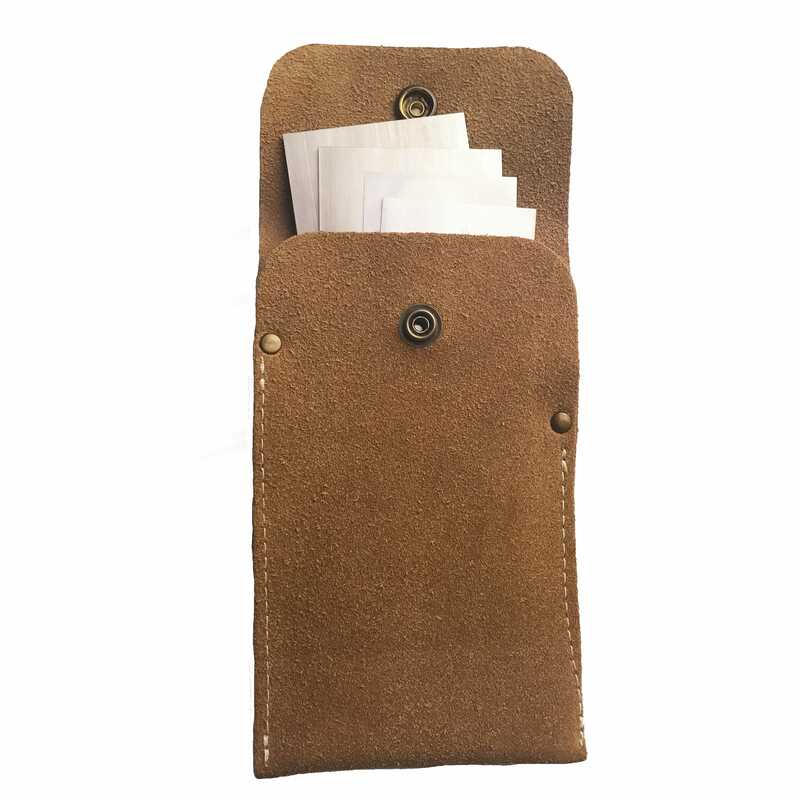 It has stud closure and a leather belt loop sewn into the back.